Learn the story of your DNA in a matter of weeks. We all want to know more about who we are. Who were the people who came before us? Where did they come from? Are there relatives out there we don’t know about? DNA testing services promise to help answer these questions. Today, multiple at-home ancestry DNA kits can find long-lost relatives, estimate your ethnic ancestry, or show where your ancestors came from tens of thousands of years ago. 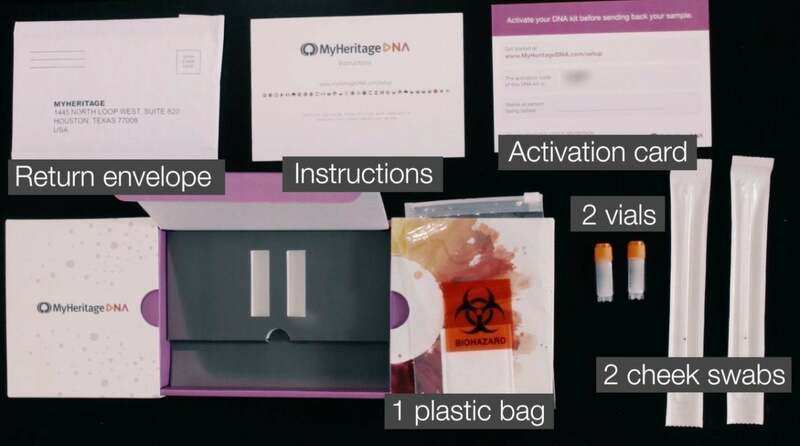 These tests are popular—according to the International Society of Genetic Genealogy (ISOGG), the number of people who bought at-home DNA kits now exceeds 18 million—and it’s easy to see why. All you have to do is swab your cheek or spit in a vial, seal your sample in a bag, and send it off to the lab. In a matter of weeks, you’ll be given a percentage breakdown of the regions your genes hail from. Some tests go further and even examine your motherline and fatherline to determine ancient migration patterns on both sides of your family. Many tests match you with people in their databases who share your DNA, too. But no test is created equal. 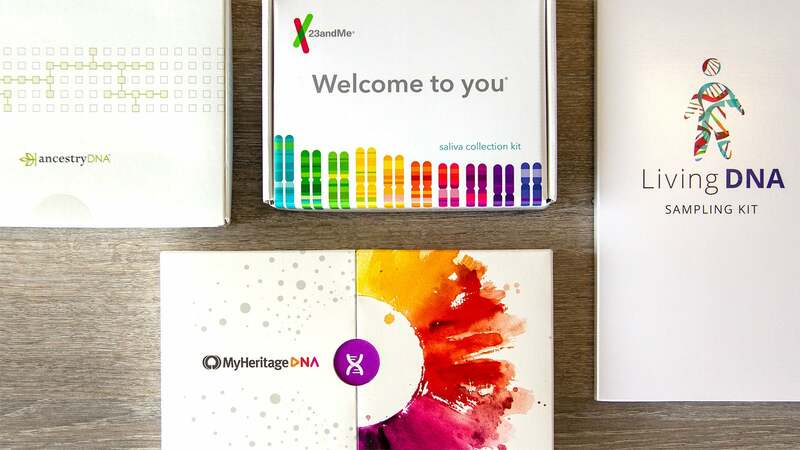 Some offer more detail and less dubious results than others, so we’ve reviewed a wide selection of different DNA tests to figure out which are which. Below are our top picks. Below that are links to all of our DNA testing kit reviews. 23andMe in many ways lives up to the promises made by at-home DNA testing services. You can expect to receive a robust amount of information on your heritage, genetic traits, and relatives in its system. When it comes to detail and variety, 23andMe is the way to go. There are two different versions: the $99 Ancestry Service and the $199 Health + Ancestry Service. The less-expensive Ancestry Service still goes above and beyond most other tests, providing an interactive, visually-rich report on your ethnic ancestry, history on the ancient ancestors of your mother and father, a database of people you share DNA with, and even a report on traits inherited from Neanderthals. AncestryDNA lives up to what you'd expect from a DNA kit, delivering simple instructions and interactive results on the web alongside a growing database of relatives and ethnic identities. AncestryDNA is an excellent DNA test for a couple of reasons. For one, it has the largest DNA database out there because it’s tested the DNA of more than 10 million people. This improves the accuracy of its estimates and also makes the likelihood of finding relatives much higher. Secondly, AncestryDNA regularly updates its ethnicity estimates with new DNA samples to refine the accuracy of its results. So for the one-time fee of $99 you can expect to see your results become more accurate as the years go on. Its biggest shortcoming is that it costs the same price as 23andMe but only tests autosomes instead of also testing mtDNA and yDNA. That means AncestryDNA will not be able to provide you with details on your ancient ancestors. For $79, MyHeritage DNA offers a robust service at the most affordable price. (Be on the lookout for regular promotions that bring the price down to $59.) MyHeritage DNA is in many ways like Ancestry DNA, since it estimates your ethnic heritage via your autosomes and matches you with relatives who share DNA with you. There are new stories every week about DNA tests reuniting adopted people with their parents or even with siblings. The growing amount of people who have taken DNA tests makes these discoveries more and more possible. The surest way to find relatives is to take a test that has a large number of people in its database. With more than 10 million people and counting in its records, AncestryDNA is your best bet for finding relatives. AncestryDNA snags a second top spot on our list with the age of its service and the larger database from which to draw family records from. (Note: We’ve not reviewed the genealogy service, but on the whole, a bigger database with reliable results will always be the most ideal place to start.) Its only competitor is MyHeritage, which also offers a genealogical service complete with government records and more. Ancestry.com’s genealogical service does come with a monthly service fee that starts at $20 per month. “We don’t believe [user data] should be sold, traded, or bartered,” said Family Tree DNA president Bennett Greenspan, in a video. That’s the company’s promise when it comes to your DNA. Unlike 23andMe and AncestryDNA, Family Tree DNA doesn’t ask you to consent to any agreements that might result in your genetic data ending up in the hands of companies or researchers. Although the consent agreements are optional, 23andMe has partnered with drug giants like GlaxoSmithKline to “share” genetic data. While AncestryDNA has “shared” DNA data with Google parent company Alphabet’s Calico labs. (We put “share” in quotes because these companies are getting an undisclosed benefit for providing the data.) If you want to take a DNA test but are concerned about privacy, Family Tree DNA is the test for you. Every genealogical DNA test we reviewed examines autosomes. These are 22 of the 23 chromosome pairs you share with relatives on both sides of your family. Your DNA became more mixed over generations to create your individual makeup, but certain genetic markers from ethnic populations survive in your autosomal DNA. This allows a DNA test to match you with relatives and break down the DNA you’ve received from certain ethnicities. Some DNA tests also look at mitochondrial DNA, or mtDNA, passed down from mother to child and, in the case of males, the yDNA passed down from father to son. These kinds of tests can tell you more about the ethnic breakdown of your parents and the migration patterns of your ancestors. 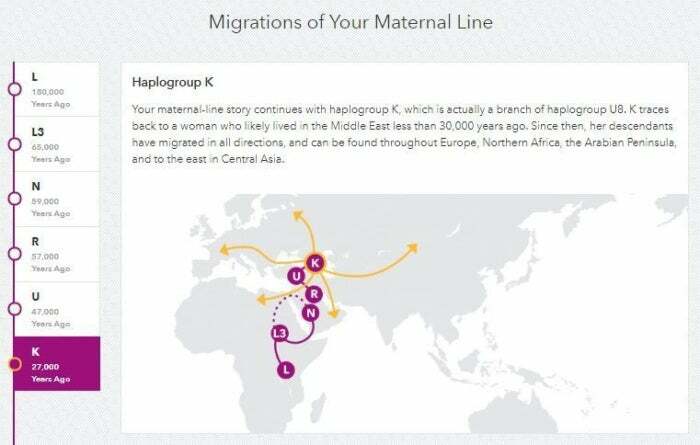 23andMe has an excellent layout for the migration route of your motherline. Currently, most of the data comes from the United States, with U.S. citizens composing 80 percent of all people who have taken DNA tests, according to ISOGG. As a result, white people with European ancestry have predominantly taken DNA tests and have skewed the level of detail in their favor. Many ethnic regions in Africa, Asia, and South America offer less detail and span much broader swaths of land, while Europe can be broken down into many different regions despite its relatively smaller geographical size. Still, what these tests reveal can be enlightening, and the science continues to progress into a more and more accurate gauge of our human code. With all the DNA tests already out there and more coming every year, it can be challenging to know exactly what to look for. But a few key things signal how good a test is even before you order it. First, find out what kind of DNA the text examines. The most popular type of DNA test is an autosomal test, which can tell you about your relatives and which ethnicities can be identified in your DNA. Additionally, some tests don’t just look at your autosomes, but also look at your mtDNA from your mother and if you’re male, yDNA. Generally speaking, if a test looks at more than just your autosomes, you’re getting your money’s worth. Another standout feature is DNA matching. Tests like AncestryDNA, Family Tree, MyHeritage, and 23andMe are known for this feature. But some tests don’t offer it. If you want to find long-lost relatives or see where distant relatives live, make sure whatever test you buy has this. Finally, look up the size of the test’s database. As mentioned earlier, the larger the DNA database, the more data the test service has to aid in refining its algorithms and science. If you care about accuracy, aim for as large of a database as you can find for the features you want. All DNA tests are fundamentally the same: You provide a sample to be sent for lab for testing, and then you receive your results some weeks later. MyHeritage’s test kit includes these elements. DNA Collection Kit: DNA samples might be scattered all over your house, but how you collect the one you send in for testing should be scientific. When interacting with our kits, we took into consideration how straightforward the test was, if we had to gather our sample by mouth swab or providing saliva, the packaging of the return mailer, and the clarity of the included instructions. Speed: DNA testing can be a lengthy endeavor and you should generally expect to wait up to two months before getting your results. Some services can be as fast as four weeks and others even longer than eight weeks. We noted how long it took to receive results after the sample arrived at the lab, and how that compared to competitors. Results: Detail is crucial when it comes to DNA testing, but so is the clarity of how the results are presented. We evaluated the presentation of test results (both in terms of data and visual layout), as well as the type of information given (e.g., motherline, fatherline, migration patterns, regional breakdown, and health results). We also took into consideration how the info lined up with confirmed family history and other competing kits, as well as the services the company offered alongside those results. Value: With all these factors in mind, we also considered the cost of the DNA kit relative to rivals in the field. Looking for something else that didn’t make our top picks? 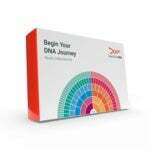 We listed all of our DNA test kit reviews below. We’ll continue to evaluate more tests as they become available.